The edition I read was the fifth printing of the 1980 edition by Devorss Publications in 2004 within their Body Mind Spirit/Esoteric Studies genre of books. The author, Eugene E. Whitworth, who died in 2005, founded Great Western University in 1957, which became the Great Western Brotherhood School of Sacred Studies. His university was meant to be an affordable and available place for seekers to study and communicate religion, metaphysics, and philosophy. As president of his university, he explored those sacred places he wrote about, confirming many of his speculations and interpretations. He was a proponent of the universality of religious thought and strove to bring peace to the world. Right around the time I was first initiated into Freemasonry (nearly a year ago), I wandered into a local pre-owned books store and stumbled upon Eugene E. Whitworth’s Nine Faces of Christ: Quest for the True Initiate. Although it was originally published in 1972, I had never heard of it before. As a new initiate myself, the title certainly caught my eye. How did such initiations relate to Christ, I thought? I had previously read such theories of how early Christianity was a mystery religion with a Jewish flavor, such that it was an initiatic system, which seems supported by interpretations of Gnostic texts and Qumran findings, so this idea was really nothing new. But, when I opened the first page and read, “A narrative of nine great mystic initiations of Joseph, Bar, Joseph in eternal religion,” I took pause. I thought this was about Christ: Who is Joseph Bar Joseph? When I first glanced at the table of contents, I did not initially realize that this was a fictional book. I know I should’ve caught that when it said “Narrative,” but that escaped me momentarily. I thought this was going to be similar to the Timothy Freke and Peter Gandy books I had read years ago, which seemed to be of a more research-oriented, non-fiction take, albeit speculative interpretations. These authors were criticized for not being “True Scholars” and for rehashing old ideas in a not-so new way. So, when I looked at this table of contents and saw chapter titles like “Secrets of the Essenes,” “Three Ways of Virgin Birth,” and “Egypt: Mother of Religions” I thought at first that this was another research-oriented, non-fiction take with a speculative interpretations. Regardless, I bought the book for $1. I began reading it right away and did find it rather interesting. I discovered it was a fictional story narrated by Jeshuau-Jeshua or Joseph-bar-Joseph, which is to say he is but is not the Jesus from the New Testament. Many a pious believer in Jesus would take this book as blasphemy on face value, but the author tries to rectify this by saying this is not the story of Jesus, but of a man who we have “sparse and strange records” of being a messiah and “crucified fifty-six years before the reported birth of our Lord and Savior.” As such, he is trying to show his reverence for Jesus Christ while still providing an alternative story. However, when reading this alternative, one forgets that it is not about Jesus Christ, as the unknown gaps of life for this character are filled in and expanded by the stories found in the New Testament about Jesus. In fact, many of the characters described in this book are directly from the New Testament, including his mother and father being Mary and Joseph, his friends Nicodemus and Lazarus, his followers including Simon-Peter, Thomas, Andrew, James, John of Zebedee, and Judas Ish Kherioth, and many others. This makes it very hard to separate the two in mind, and I found myself often reading this book and thinking, is this a plausible story or explanation? The book is not the best-written book, nor does it completely engross the reader to an extent that it causes difficulty putting it down. I read over half way in a few months and then stopped reading altogether for another 8 or so until I decided to finish it on the plane ride and my trip to the east. The ideas I found in it were interesting enough to capture my interest, but the way the author writes reminded me of a researcher who just added some fictional narrative to make a cohesive story line. I’ll explain. I feel like the author knows a lot about the individual mystery religions he describes. This, however, would require much more research on my part than what I have time for, so I will take it at face value that he does. I will believe that he extensively researched as best he could what is known of the Druids, the Persian Magis, the Hindu Yogis, the worshippers at the Temples of Osiris and Isis, and others. He took this disparate research and embellished it, filling in gaps and creating a fictional fancy for each based on what he knew. Then, he saw within these initatic systems a framework for development, not just physical or moral, but spiritual. For certain, he describes this within the Egyptian context in the levels of body, mind, and soul. He then uses the ideas about Jesus’ ascendancy to Christ through gnosis, not as the Son of God, but as a son of God who is able to obtain such a state, as all humans could be capable of, if they only knew. This certainly reminded me of the Freemasonry, as we are instructed to chip away at our rough ashlar to shape our perfect stone, which is of course leads us to becoming god-like, as God is the perfection. Jesus and other avatars are such a symbol of that godly perfection achieved within the life of a material being. Therefore, we do find that connection, that golden thread and similarity running through the ideas of the mystery religions and into Freemasonry. I recommend that brothers inclined toward esoterics might enjoy this work, which is truly a mystical piece. 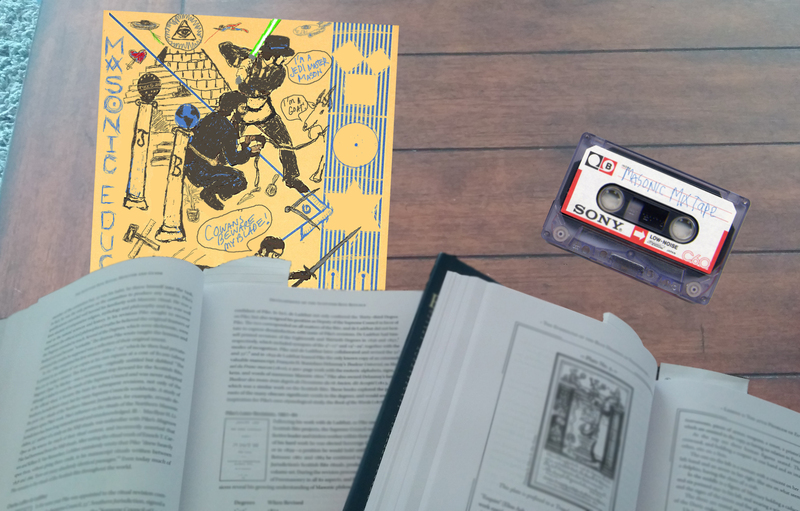 Although it seems to be taking allegory and making it literal, there is much to consider in the connections and in the motives as perceived by the author and ascribed to the protagonist. His reinterpretations of certain events are quite fascinating and make me wonder whether he got ideas from research, which he made narrative, or they were whims of his imagination, which related to previously undiscovered stories or borrowed from the ideas of others (see the betrayal of Judas). Additionally and although it was never stated outright, I wonder how much influence Freemasonic thought had on this author, as there are several portions of text where I find great similarity. Or, the similarity I find is only due to the author’s knowledge of initiatic systems of which Freemasonry is one and was influenced by the same systems described. 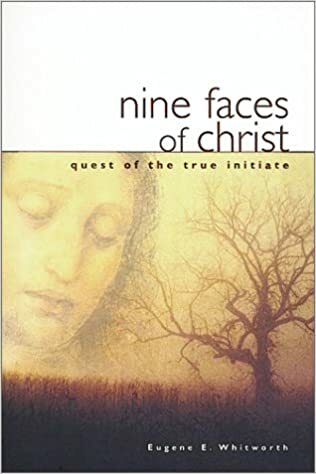 I just ended this book and am still wondering why did the author decided to name the book the NINE FACES of Christ… been trying to give a meaning to the number nine but I don’t find it… do you have an idea? I believe it refers to the paths he took on his mystical journey. Didn’t they number 9. The original copy that I read said the book wrote itself in 90 days. Whitworth being a master of Eastern Religion, bringing it forth from the Universal… I see that now as channeled material, using Whitworth’s knowledge and experience as a framework from which to draw upon. I myself had been through a Spiritual Awakening just prior to being brought together with 2 people that had read it it and one of them had a hardback that I borrowed. It was incredibly profound for me in the context of where I was in my awakening.